My daughter is obsessed with anything Disney including the entire cast of Disney Jr. One of her favorite shows, and mines is Doc McStuffins. 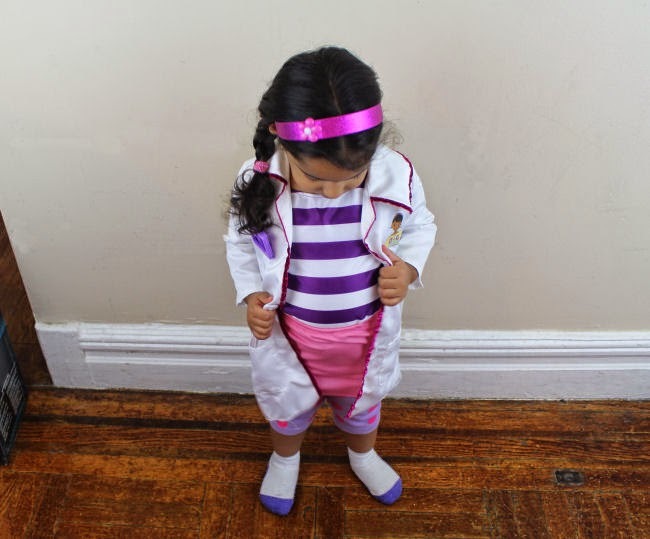 I love that it gets little girls excited about the medical field and dreaming about becoming doctors themselves. When my daughter pulled out her toy stethoscope and told me "Mama, I gotta check your heart with the stethoscope" I was floored that she knew what a stethoscope was. I would have never ever imaged knowing what one was when I was 2! I have also noticed that she is less afraid when we go to the doctor's office for her check-ups too. 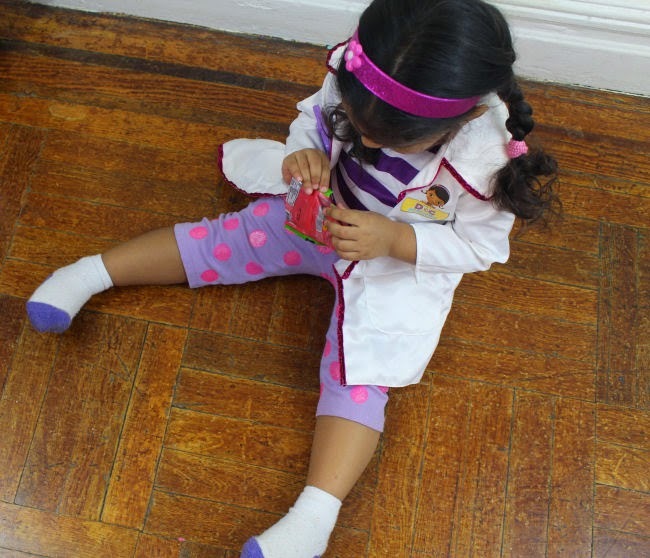 My sister bought her a cute little Doc McStuffins dress up set that came with the jacket, shirt, and otoscope. My daughter is all about dress up now so I decided to complete the outfit and made the leggings and skirt. I didn't want to have to search for the right polka dot pants and skirt so I made it myself. I also didn't want to buy any new fabric so I used some old pieces of purple legging fabric and pink knit fabric I had in my fabric stash. The only thing that was missing was the polka dots so I took out my fabric paints and created a stencil. 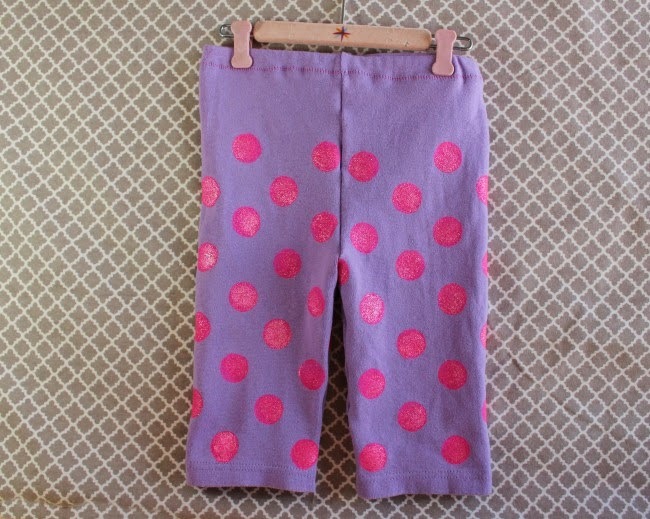 To make the pants I followed my tutorial for DIY Toddler Flannel Pajama Pants but with some minor changes. I used a pair of my daughter's leggings and subtracted from the length to make the pattern into capris. I did no addition for ease and added 1/2" all around for the seam. 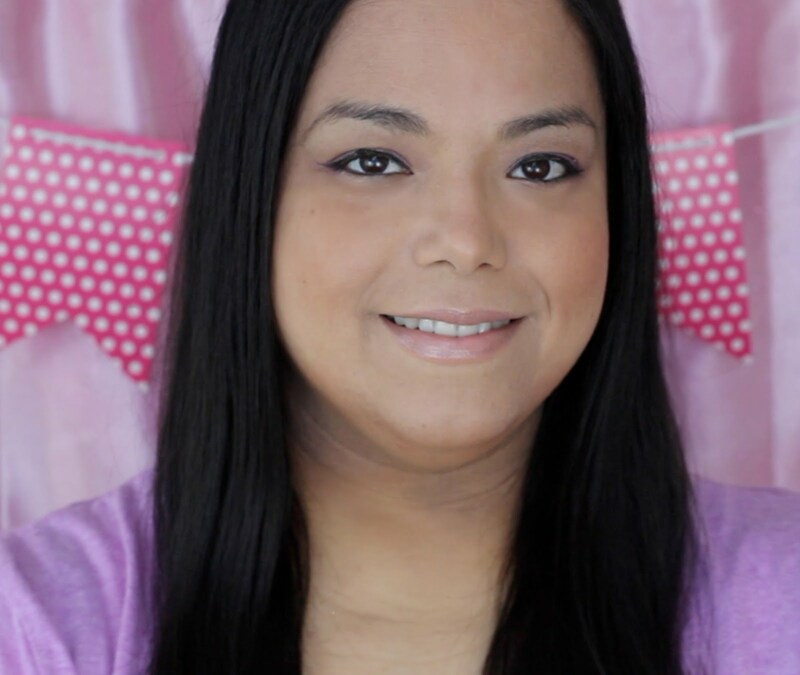 You will need hot pink fabric paint and a sheet of card stock paper. 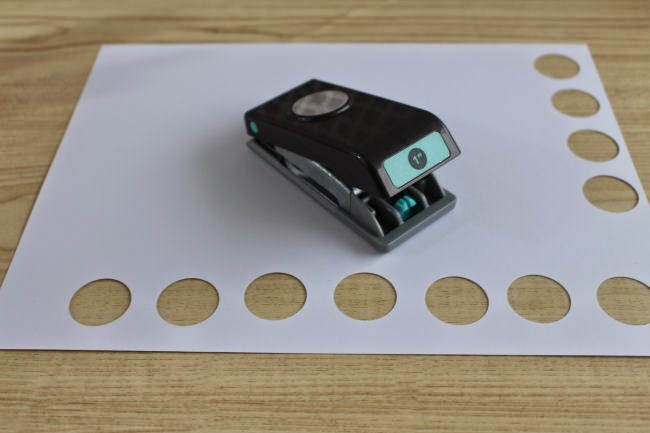 Take the card stock paper and using a 1" hole puncher cut out holes in a row where the circles are a little less than 1/2" apart. If you don't have a circle punch you can just draw the circles and use scissors or an exacto knife. 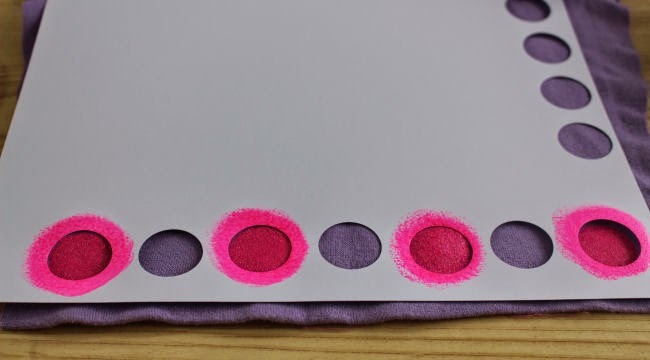 Place the stencil on top of the fabric and paint in every other circle. Lift the stencil above the circles you just painted and paint on the circles you missed in the row below. Continue in this manner until almost all of the fabric has polka dots. Continue with the tutorial linked above to finish the pants. 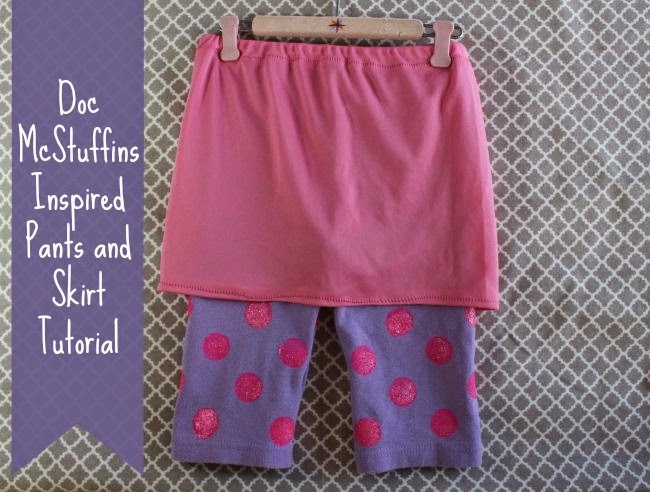 To make the skirt, measure around the child's waist and the length from the waist until a little above the knee. Add 4" to the measurement of the waist and 2" to the measurement of the length. Cut a rectangle out of the pink knit fabric that is the waist measurement wide by the length measurement long. Fold under 1/2" at the hem and use the zig zag stitch on a sewing machine to hold it in place. 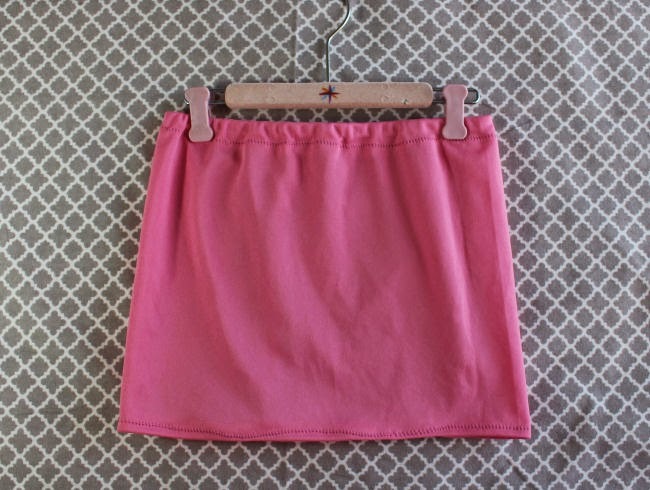 Fold under 1/2" at the top of skirt and iron. Fold over another 1" and iron to make the casing at the waist. Sew all around with a zig zag stitch to keep it in place and leave a 1" opening for the elastic. Cut a piece of elastic that is the measurement of the waist plus 1/2". Thread through casing of skirt using a safety pin. Overlap ends of elastic and sew in place using reinforced stitches in a couple of places to make it durable. Hand sew the opening of the casing. What character does your child like to dress up as? What a lucky little lady to have you to make her such cute things! I love it! That is so adorable! I love that she wants to be a doctor and that the program has made her less fearful of doctor visits. You are so creative to come up with a way to get in the spirit in a crafty way. I really like that! This is absolutely so darling! My daughter would love it! My 4 yr old would LOVE this. What a great idea for adding the polka dots. I would have never thought of something like that. So very cute! Love the polka dots and the pictures! 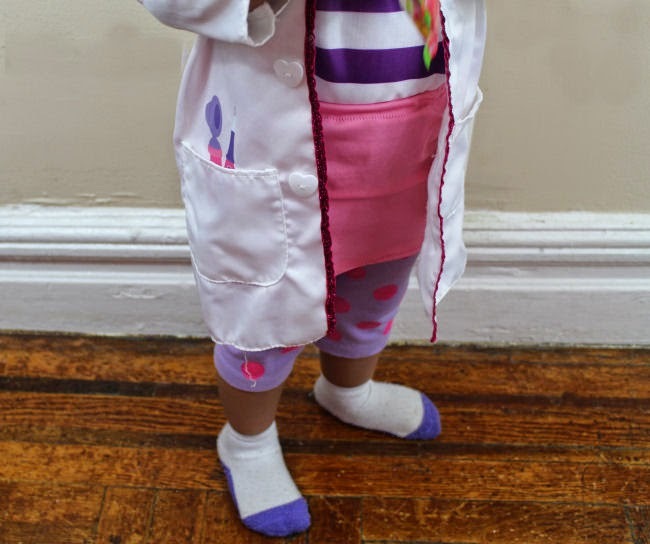 Wow, Michelle - How cute is your daughter in her Doc McStuffins dress up set and your directions are great for the pants! Look at the cute polka dots. You did a great job here with these pants!